The foundational pillars of sustainable development are considered to be the Economy, Environment and the Social community. It is relevant to note here that a community is defined as a social structure that shares personal values, cultural values, business goals, attitudes or a world view. by termites, figuratively. Thus, weakening and destabilising the tripod itself. Ecologically, termites are an important contributor to the eco system of the earth. They are soil engineers influencing the physical, chemical and biological properties of soils. Sadly, in contrast to these tiny hard working and community conscious insects, the figurative ‘termites’ are condescending. They must at least learn about unity from these insects. Economic development in a country is propelled by a chain of events. All the dynamics one can think of as vital for a country’s progress and for the qualitative appreciation of the living standards of its people are linked to this chain. A concept called ‘inclusive economics’ is considered an important modern day economic proposition. This idea acknowledges the multidimensional forms of links between the macro and micro economic determinants of a nation. In simple terms recognising, appreciating and co-existing with the economic variants. For any country, sustainable economic growth at a broader level requires inclusive growth. “Inclusive growth is a concept that advances equitable opportunities for economic participants during economic growth with benefits incurred by every section of society”. (Brazil: International Policy Centre for Inclusive Growth. ISSN 1812-108X). Researchers opine, “Maintaining this is sometimes difficult because economic growth may give rise to negative externalities, such as a rise in corruption, which is a major problem in developing countries” (infra). In Sri Lanka the economy is not only burdened with corruption. It is also negatived by myopic, selfish and opportunistic ‘economic exclusivity’ churned by racists and allegedly supported by corporates. Unfortunately, the government, academics and intellectuals have ignored this aspect of the danger of the growth of racism parallelly retrogressing economic growth. “Nonetheless, an emphasis on inclusiveness—especially on equality of opportunity in terms of access to markets, resources, and an unbiased regulatory environment—is an essential ingredient of successful growth. The inclusive growth approach takes a longer-term perspective, as the focus is on productive employment as a means of increasing the incomes of poor and excluded groups and raising their standards of living”. (Policy Research Working Paper Series 4851, The World Bank). From this perspective the active participation of all communities without discrimination is needed for growth. Among the many challenges that this country faces the dark force of ethno-nationalism pose a formidable threat. The beliefs and convictions of these fringe groups are expressed in the form of religious violence, racist and ethnic unrest. The volatile situation created by such violent acts has a direct impact on the security and stability of the country. These in turn causes the equivalent negative ramifications on the economy. There is an interesting difference between being a patriot and a nationalist. A patriot is said to be proud of his country for what it does. While a nationalist is proud of his country no matter what it does. It is said that the first attitude creates a feeling of responsibility while the second a feeling of blind arrogance that leads to a war. Imagine the addition to this blind arrogance of nationalism the ‘cocktail’ of ethnicity. The resulting blend is an inflammatory ‘ethno-nationalism’. This is what the country is experiencing. Nationalism is fine. It is inclusive and, in fact, all of us must be civic nationalists. This is non-xenophobic form of nationalism and values freedom, tolerance, equality, and individual rights. Reference to the non-xenophobic form of nationalism needs further mention. Xenophobia is a trend in the European countries on the face of mass migration from all parts of the troubled world. Ignorantly, our (modayas) fools aping the xenophobic patterns of the West, are demanding that the Muslims of this country go to Pakistan or the Middle East and, the Tamils go to India. Thus, revealing the danger of empty-headed ethno-nationalism combined with ultra-nationalism. While hailing the fervour of civic nationalism, it is incumbent upon us for the sake of our country to marginalise the protagonists of ethno-nationalism. The existence of this dark force will inevitably cause conflict, contradiction and disintegration of the unity of this country. The patriots of this country cannot rest with indifference while this cancer is metastasising within the country. It behoves each and every one of us irrespective of caste, creed, race or religion to stand tall above this threat and save this country. “We don’t have plan B because there is no planet B”. Liberally, interpreting this quote, “We don’t have plan ‘B’ because there is no Sri Lanka ‘B’. In conjunction with the statement of the President, the following excerpt is relevant, “Sustainable development must be the organising principle of all democratic societies, underpinning all other goals, policies and processes”. (Sustainable development Commission, CASE report 23). Flowing from the above, is it reasonable to argue how can there be sustainable development in the absence of sustainable communities? Social community as explained earlier comprise one of the legs of the tripod of sustainable development. This is being constantly weakened and destabilised. For a sustainable community, contextually, the words of the President become relevant, viz. “elimination of all forms of discrimination and inequalities, and establish a society based on social justice and human security”. Given certain ground equations, it is incomprehensible how sustainable communities could function smoothly or continue to exist as a cog in the economic wheel. The extremist dark forces are out on an island wide campaign admonishing the Sinhalese people not to buy things from Muslim shops, groceries, pharmacies and any Muslim owned retail outlet. Not to eat in Muslim hotels. Not to patronise garment outlets owned by Muslims. There is a concerted effort to target Muslim businesses, enterprises, industries, manufacturers and so on. Do not these nincompoops understand that each of these things are part of a link in the demand and supply chain. Somewhere down the line it is a Sinhalese supplier who will be affected. A Sinhala manufacturer who will feel the fall in demand of one thing or the other. A Sinhalese vegetable seller who will have an excess stock unsold. We are living in a world of inclusivity and dependency. No one can survive alone. The Sinhalese entrepreneurs will be deprived of a two million people market in all forms and varieties. According to the New World Bank-UN Sourcebook, “Without basic security, even those not directly affected by violence suffer, and economic development lags. In 2015, violence is estimated to have cost the global economy 13 percent of global GDP, or $14.3 trillion”. To strangle the life line of economic growth viz. economic diversification and competition will not be helpful. In the long run who will suffer the most? It is the Sinhalese citizenry and Sinhala businesses. In addition, all of us will have to face the wrath of regressive sustainable development in the absence of a sustainable social community. 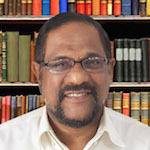 The Sinhalese patriots have a major role to play in marginalising and rehabilitating these misguided people. Certainly, the Muslims cannot undertake this task because the onslaught is on the Muslims. The pundits of the Sinhalese corporate world have to rethink their myopic strategy. They have to realise the impact on the country’s small economy. The government needs to turn its search lights on this issue and ensure that these ultra-ethno-nationalists are taken out of the grid.